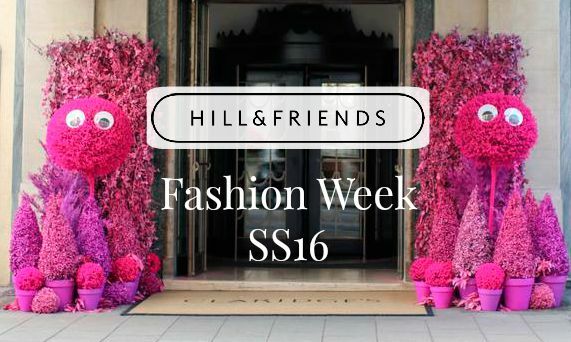 The one event in the fashion week schedule i was excitedly looking forward to, ever since the brand announcement....Hill & Friends is the new venture for ex-Mulberry ladies Emma Hill and Georgia Fendley. 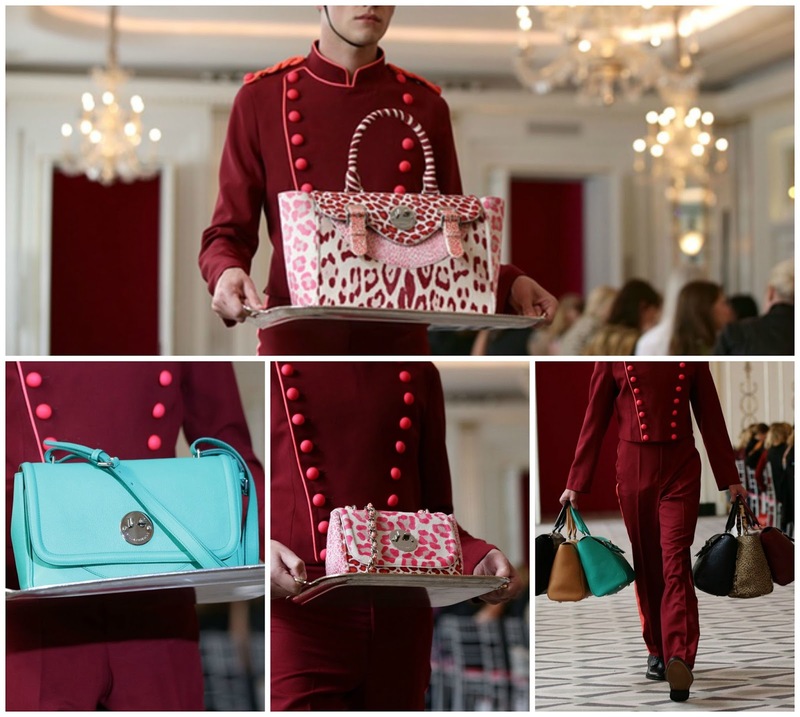 Under the creative reign of Hill, Mulberry released my favourite bags - Alexa, Tillie & Willow and so i was very excited to see what the queen of handbags had in store for London Fashion Week and she did not disappoint. The collection itself made up of very classic designs, with a bold quirky element - from the patchwork colours of pink leopard and bright happy green, to the unique closure on each bag, a signature Hill smiley face lock, where the eyes twist or wink. Not a huge assortment but something for all occasion - the brand will branch out into clothing too but wanted to launch with accessories (the best bit in my opinion). With prices starting at £495, with most below £1,000 - this collection is far more accessible to the masses but still offers a British brand with quality and a touch off luxury. 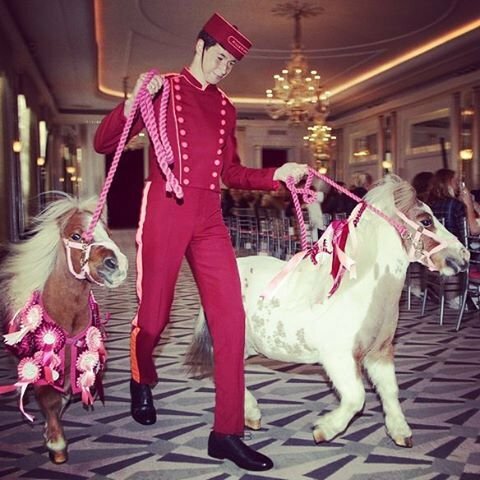 The highlight of the event seems to have been these two mini Shetland ponies, adorned in pink rosettes, galloping around the room before making a break for it down the corridor dragging the unsuspecting bell boy behind! 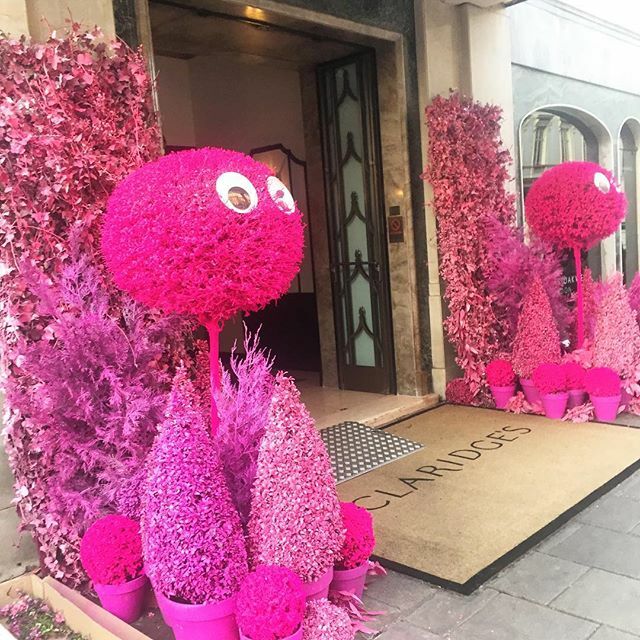 For me the element i most loved about this event (aside from the beautiful bags) was the attention to brand detail, from ponies to breakfast shaped biscuits, to the amazing pink shrubs adorning the front doors of Claridges - i really want one of the mini trees with googly eyes for my garden!!!! 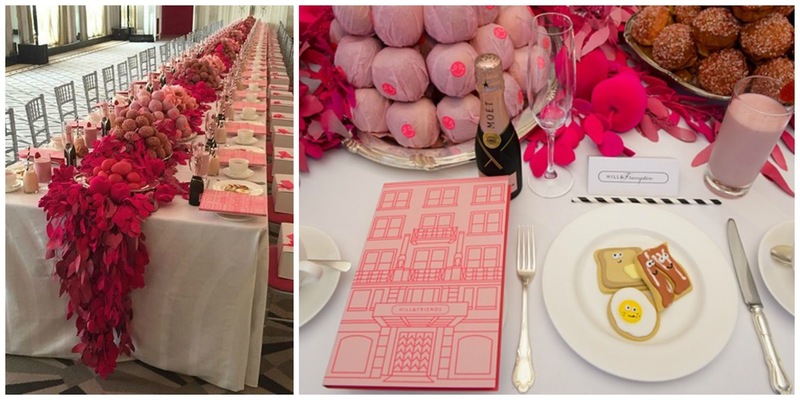 This would definitely have been a sight to see, so much pink, my idea of heaven. Reflecting the current trend of show now, buy now, the website - Hill&Friends.com is now live with a small launch collection, made up of 3 styles in a variety of colours... think my favourites have to be the Oxblood happy satchel and the bright neon pink happy chain bag. Now to decide which of these leather lovelies i want to give a good home to!